This past weekend was the Southern Kentucky Book Festival, conveniently located only ten minutes from my house. I spent all day Friday in writing workshops (it’s also children’s day, so at lunch I snuck over to see some of my fav authors) and on Saturday I attended panels, bought books, and met authors. 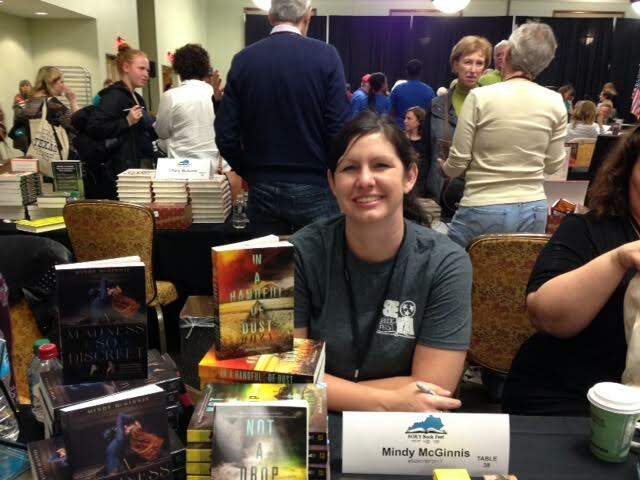 Mindy McGinnis was a first time attendee, and I’m such a fan of her books – trust me, not a bad one in the bunch. On her website last year, she critiqued my query (so helpful), and I was anxious to meet her in person. When I met her on Friday, her newest release, Given to the Sea, hadn’t arrived yet, so I headed to her table first thing on Saturday morning and totally lucked out, getting the next to last copy on her table. This was also Brigid Kemmerer’s first year attending. My youngest son and I read her Elemental series together, which she was thrilled to hear, also being a mother of all sons. She’s holding her new release, Letters to the Lost. D.G. Driver was bombarded by over 1,000 young readers attending children’s day on Friday (R.L. Stine was the headliner). 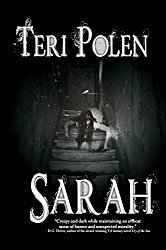 She has a wonderful YA series dealing with social and environmental issues (Juniper Sawfeather), with the third in the series scheduled for release in the next couple of months. Look for my upcoming interview with her – I’ll keep you posted. C.J. Redwine is a frequent visitor to the book fest and I’ve attended two of her writer’s retreats. The third one is scheduled in September (just in time for my birthday) and I can’t wait! 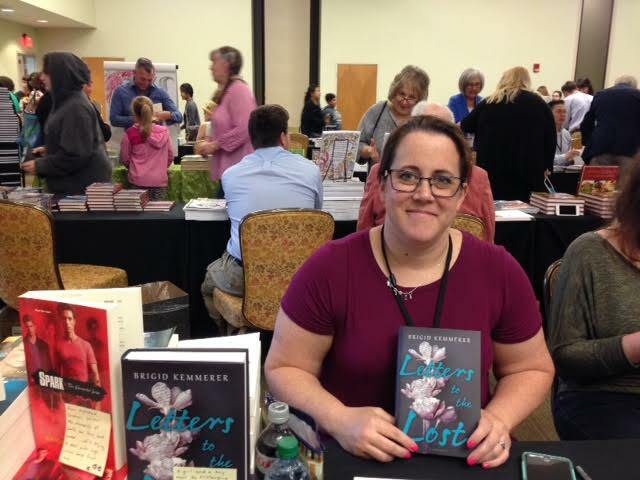 With helpful workshops, beautiful scenery (Tennessee mountains), excellent food, and writerly friends, what more could you ask for? 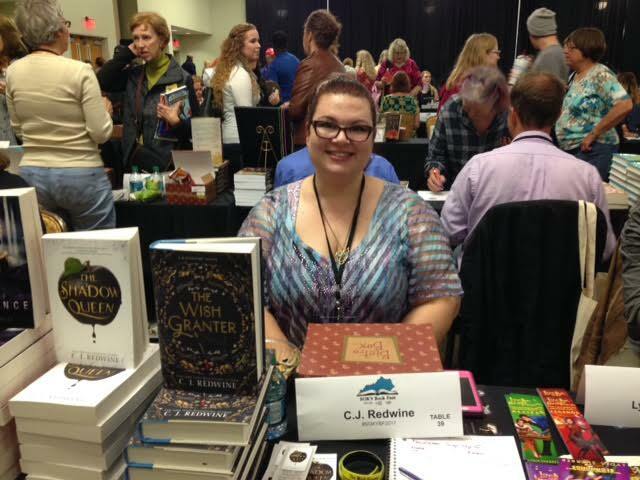 I bought a signed copy of C.J.’s newest release in the Ravenspire series, The Wish Granter. The day after book fest for me is like the letdown the day after Christmas *sigh*. Now I have to wait until April for the next one. 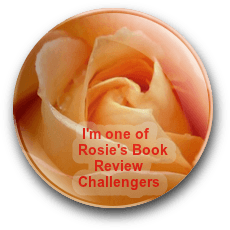 You’re welcome, Diana – hope your TBR isn’t as towering as mine! 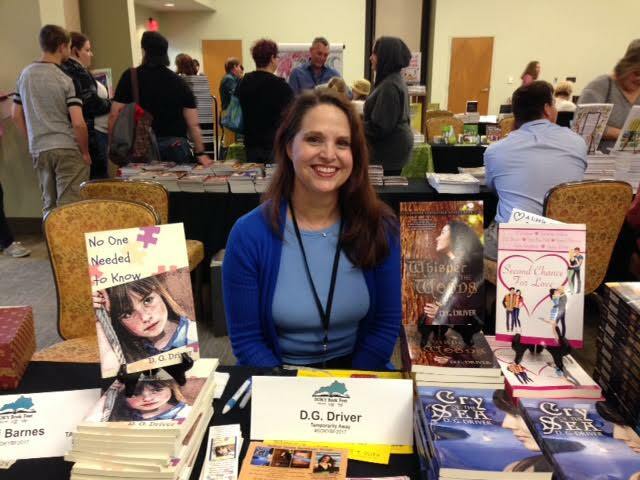 I’d go to a book fest every weekend if they were available – such fun! I must say, I’m envious. But this sounds like a blast. 🙂 I would have left with every book there. Gah! I wanted to – I literally have to make myself walk out the door and leave.